There is a part of me that would love to live on land and be near self-sufficient. Little House on the Prairie was one of my favourite tv programs growing up and I adored the books! Having always lived in cities, even as a child I loved the idea of space and growing your own food, like in Little House on the Prairie. The nearest I got to churning butter with my mother like Laura Ingalls did with hers was whipping cream with the hand-held whisk (you know the one where you turned the handle?) I remember thinking ” if I keep whipping will I get butter?” of course my hands always got too tired and my child’s mind wandered. I still havent made my own butter, watch this space! When I saw the Urban Farm Challenge on the Sustainable Eats blog my interest was instant! It’s a year-long challenge to help eat healthier, local food. This is something that has been on my mind for a long time and is already part of my life but there is always more to learn. I signed up right away only to fail the first task, that was to improve your soil. I did order a free compost bin from the council, free! People if you have big enough gardens see if your local council give free compost bins! The bin they delivered was huge, too big for my garden so that was that! The home dairy task for March was one I was most looking forward to, making cheese. The lovely Andrew from Eating Rules set a challenge with a recipe for Lemon cheese. It could not be easier! 3 ingredients, 4 if you want to add herbs. Warm the milk, add the lemon juice, wait, strain, cheese! I have made this twice now it’s so good. The first time I did not have a thermometer so don’t worry if you don’t have one as it still works. Just heat the milk until almost boiling point when bubbles are all around the edge of the pan. The 2nd time I did use a thermometer and was pleased to see that when I judged the milk to be almost boiling pretty much matched the 175F temperature the recipe states. This really is easy and satisfying. The cheese produced is not overly lemony, its creamy and perfect for matching up with stronger flavours like chutney, tomatoes. The best thing is no unwanted added ingredients, choose the best quality milk you can and you have something pure and simple that you made yourself. What could be better? This entry was posted on March 25, 2012, 17:51 and is filed under Dairy, Urban Farm Challenge. You can follow any responses to this entry through RSS 2.0. You can leave a response, or trackback from your own site. 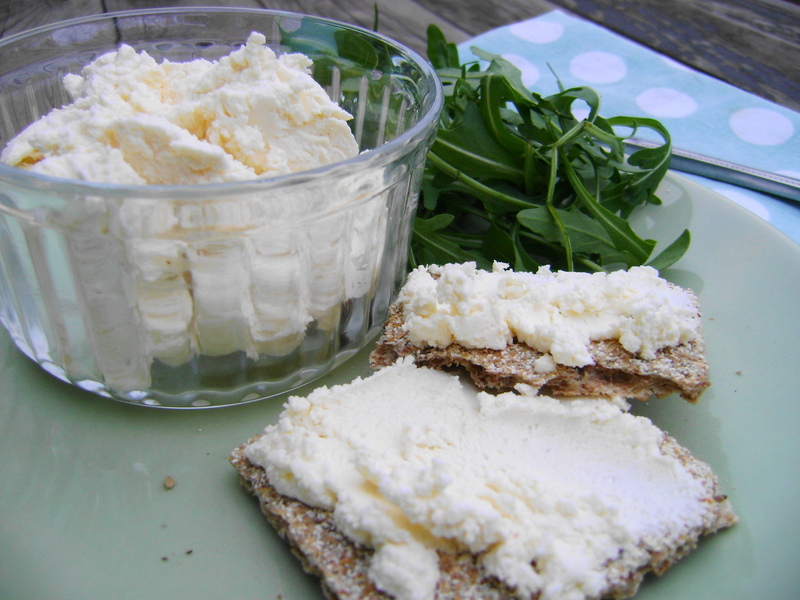 I love the idea of making my own cheese and you’ve taken all the scariness out of it for me! 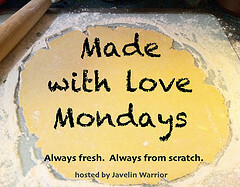 Love how simple this technique is and you have perfectly embraced the spirit of Made with Love Mondays – thanks so much for sharing… I did notice the Made with Love banner does not link back to the Made with Love challenge page – did you encounter problems inserting the banner code? Thank you, I love the idea of celebrating scratch cooking! Sorry, I think Ive fixed the link, I always have problems when it comes to banners! Just perfect Jayne…I would love to make my own cheese too…believe it or not, I have never tried! I have access to great dairy through my local food co-op–this is so tempting! Oh do try this it is ridiculousy easy and so satisfying! Goes great with chutney! Wow, I need to join in on this challenge – what an amazingly simple process! Yes join, its great as is the book! The cheese is so simple and really good! I want to make cheese. I keep trying… I get the ingredients then life interferes and it doesn’t get made. Well done! Thank you, this one was so easy.